Acer hasn’t waited until Computex 2016 to unveil its latest PCs that come installed with Windows 10. The cheapest computer is only $199, but each device has a built-in fingerprint reader that will allow users to sign in with Windows Hello, a very secure biometric authentication system. Below, we’ll give you a short description of the new laptops, monitor and IoT education kit. This is a 2-in-1 convertible laptop that costs $249 and it has a 10.1-inch IPS touch screen with a resolution of 1920 x 1200 pixels and it’s powered by an Intel Atom x5-Z8300 processor with four cores clocked at 1.44 GHz, which is backed by 2GB of LPDDR3. It’s a perfect device for students on the run, who spend their time in libraries or coffee shops, studying or sharing files with their friends. The new USB Type-C port allows faster charging of the battery with two cells, which lasts up to nine hours. 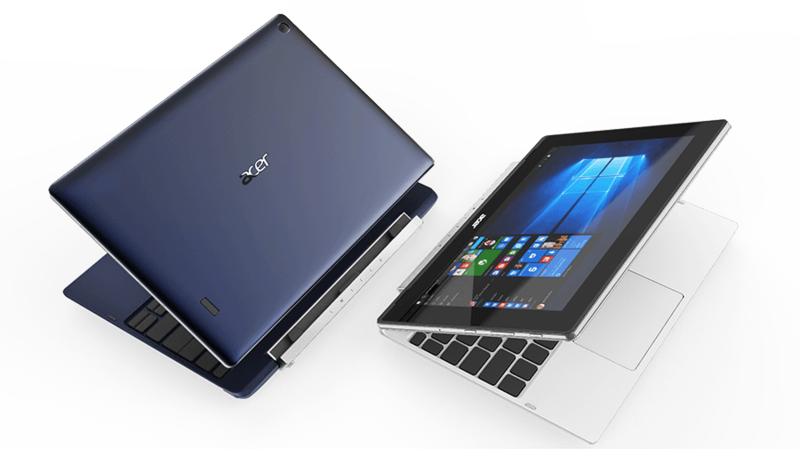 Also, the laptop has a dual camera, an Acer Snap Hinge latch-less magnetic design and it’s available in color variant such as Pearl White, Shale Black, Coral Red, Navy Blue and Peacock Blue. Its price is $199 and it’s powered by an Intel Atom Z3735F quad-core processor clocked at 1.33 GHz and which is backed by 2GB of RAM. It has an internal memory of 32GB and 2MP cameras on both sides. The screen has the same size as the Acer Switch V 10, but the resolution is lower at 1280×800 pixels. The keyboard is detachable and owners can use the laptop in four modes: notebook, pad, tent and display. It has a diagonal of 32-inch and supports a resolution of 3840 x 2160 pixels. It’s capable of covering 100 percent of the Rec. 709 color gamut, as well as 90 percent of DCI-P3, and the brightness and color fluctuations are reduced with the help of Uniformity Compensation. Everyone can use the IoT education kit which offers tutorials and starter modules. CloudProfessor will help people of all ages and backgrounds to learn to code right from their smartphones.